E lvis Presley’s Gibson Doveguitar was played by ‘The King’ during a performance at the Las Vegas Hilton in December 1976. 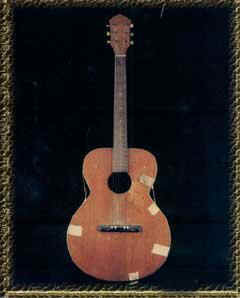 Elvis gave the instrument to his bodyguard Sam Thompson in January 1977. 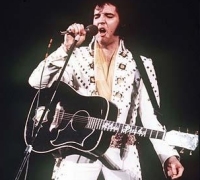 On the back of the guitar is some plastic residue where the belt on Elvis’s jumpsuit melted because of the heat of the stage lighting. Described as ‘one of the most significant guitars to ever reach the market’, the Elvis guitar expected to sell for up to US$500,000. 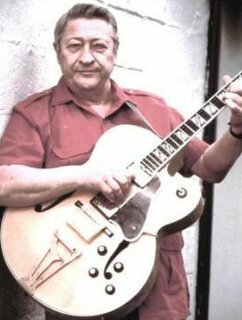 Les Paul, guitarist who had Gibson Guitar named in his honor and who changed the course of music with the electric guitar and multi-track recording and had a string of hits, died August 13, 2009. He was 94. As an inventor, Paul helped bring about the rise of rock ‘n’ roll and multi-track recording, which enables artists to record different instruments at different times, sing harmony with themselves, and then carefully balance the “tracks” in the finished recording. 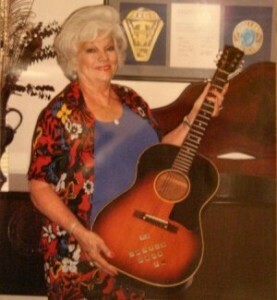 Elvis Guitar Owned by Anita Wood Thirty years after Elvis’ death, Booth still marvels at the impact of the local boy who made good. In fact, Booth feels that impact every day inside his store. “It’s unbelievable,” he says. 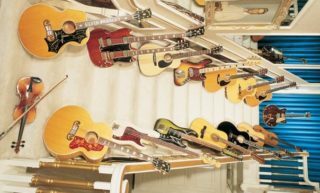 “People come in to see where he bought his first guitar. Every network & media organization in the world has been here and filmed the place.” An occasional challenge is doing business with the extra traffic attracted by the store’s place in history. The building was especially crowded this summer, during the week of the 20th anniversary of Presley’s death. 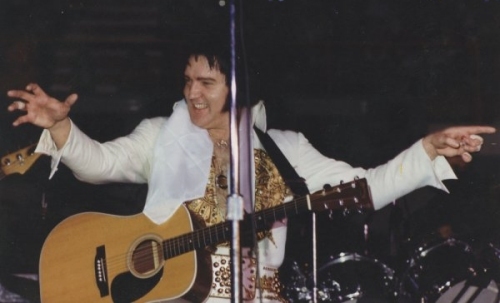 Anywhere between 30 and 40 people were continually “milling in and out” of the store throughout that period, Booth says – The site of a sale that would help alter popular music, Tupelo Hardware is now one of most frequently visited sites for fans who come to town to trace Elvis Presley’s roots.